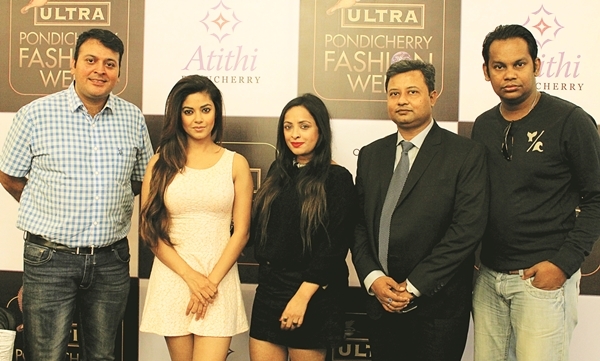 Looks like the paparazzi and flashbulbs are focussed on Pondicherry tonight, with the second edition of the Kingfisher ULTRA Pondicherry Fashion Week, in association with Storm Fashion Company, kicking off. Designer Manoviraj Khosla says he is looking forward to showcasing his collection, Life, at the three-day event. This is the first time the Bengaluru-based designer is featuring his line in Pondicherry and hea��s hoping the party wear collectiona��which comprises dresses in both bright and pastel coloursa��will make an impact. a�?Pondicherry has always been a fashionable city with an eclectic vibe to it. Everything about ita��from its architecture to its fashiona��has a great sense of design and Ia��m looking forward to what they have in store for me,a�? he says, adding that the style statement for Pondicherry, in his opinion, will constitute loose summery dresses in linens and natural fabrics, with Indian cuts and a contemporary touch. The eventA� will also showcase designers like Jules Idi Amin,Jatin Kochhar and Kochia��s Hari Anand.